An umbrella organisation of civil societies and student bodies in Mizoram called off their protest before the office of the Chief Electoral Officer (CEO) on Tuesday, soon after the Election Commission announced that it would send a three-member team to assess the situation in the poll-bound state. NGO Coordination Committee chairman Vanlalruata said that the demonstration in front of CEO S B Shashank's office was called off at 12.30 pm in view of the visit of the three-member Election Commission team to Aizawl. Vanlalruata expressed hope that the EC delegation would understand the ground situation and remove Shashank from the CEO's post to ensure free, fair and peaceful election to the 40-member Mizoram assembly on November 28. People congregated in large numbers in front of the CEO's office since 8 am on Tuesday following a call by the NGO Coordination Committee to picket his office, demanding his removal. The police said the CEO was at home and did not come to his office on Tuesday. "As people have lost faith in him, the only solution for smooth conduct of the Assembly election 2018 now would be removal of CEO S B Shashank from office forthwith," Chief Minister Lal Thanhawla had written to Prime Minister Narendra Modi on Monday. The NGO Coordination Committee had also appealed to the Federation of Mizoram Government Employees and Workers (FMGEW) to support the agitation and cease work from Tuesday. Most of the shops in Aizawl city were closed Tuesday in response to a call made by the Mizoram Merchants' Association (MiMA). Very few vehicles were on the roads in the state capital and attendance in government offices was thin. The conglomerate, which had Friday demanded that Shashank leave Mizoram by Monday evening, had decided to picket before the CEO's office, which is located at Treasury Square, from Tuesday and not allow him to attend office. They were demanding Shashank's exit from the state, after the Election Commission (EC) had removed the state's principal secretary (Home) Lalnunmawia Chuaungo. The protesters demanded the ouster of Shashank, who they alleged have hurt the sentiments of the Mizo people by his "pro-Bru" stance for conducting the elections. The CEO told a press meet here on Monday that he was just fulfilling his responsibilities in accordance with the instructions of the EC. The order mentioned six incidents, mainly related to the arrangements to enable the Bru refugees staying in camps in Tripura, take part in the voting process. Thousands of people from the Bru community had fled Mizoram in the late 1990s following ethnic clashes. Shashank said on Monday that he had "no intention to hurt the sentiments" of the state's civil societies and apologised for rankling them in any way. 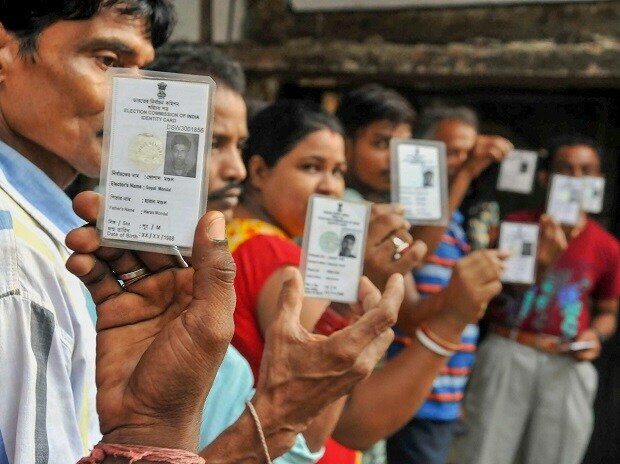 Earlier too, the civil society organisations had opposed the EC's decision to conduct electoral revision of the Bru voters in Tripura's relief camps.